Gina Alexis Nakia Verant mother Wednesday afternoon during a press conference. Gina Alexis Nakia Venant mother Wednesday afternoon during a press conference. Gina Alexis Nakia Venant mother blames ‘the system’ for her 14 year old teen daughter’s suicide death during a Wednesday press conference. 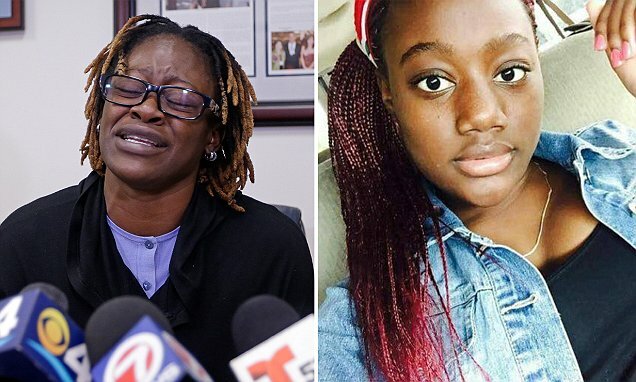 Gina Alexis the birth mother of 14 year old Florida Haitian teen, Nakia Venant who livestreamed her suicide on Facebook has blamed the teen’s foster carers for her death. Addressing press corps Wednesday afternoon the grieving mother said the system had failed her daughter. 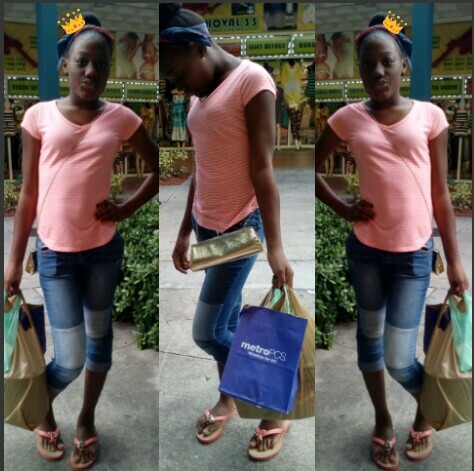 The mother’s outcry comes after Nakia was found unresponsive and eventually declared dead after hanging herself in the bathroom of her foster home in Miami Gardens circa 3 am, Sunday morning. Responding police found the girl hanging from a scarf in the shower after being alerted by a friend who was watching her social media broadcast. Her foster parents were asleep at the time. Addressing press, Nakia Venant mother’s lawyer, Howard Talenfeld blamed the Department of Children and Families for ignoring the warning signs and failing to properly place Nakia, who recently began exhibiting unruly behavior, had run away from home and was even hospitalized under the Baker Act at one point. Reiterated the mother: ‘I asked the foster care people to take care of my baby and instead she killed herself on Facebook’. Gina Alexis Nakia Venant mother along with her lawyer, Howard Talenfeld blamed the system for her daughter’s suicide death. Pictured the teen. According to the Miami Herald, Nakia had been put into care as a child at age 7 amid allegations her mother was beating her. She was sexually assaulted by another foster child soon after, with the teen bouncing between 10 homes and her biological mother’s care since. In turn Talenfeld said the sexual abuse and constant upheaval had led to Nakia having behavioral problems. In the interim, Nakia’s birth mother, Gina Alexis had been petitioning to be permanently reunited with her daughter. 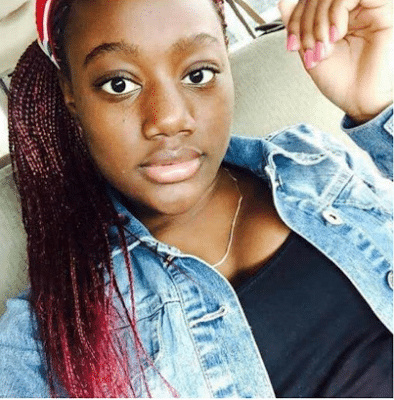 The Florida Department of Children and Families has since launched an investigation into Nakia Venant’s suicide death but says it cannot, by law, address specific questions about it. Nakia had been banned by a judge from using the internet but snuck on it once her foster parents were asleep late on Saturday night, Talenfeld said. Before beginning her live broadcast at midnight, Nakia told a friend that she didn’t want to live anymore. The concerned friend contacted her birth mother and siblings and between them they tried to contact social services, Talenfeld said. The friend eventually called police who arrived at the home at 3am to find she had already killed herself. Talenfeld said her death had been caused by the ‘terrible failures’ of the state. Adding: ‘Nakia told the world, in the way she left this world, about the terrible failures in (Florida’s) foster care system. The Florida Department of Children and Families Secretary Mike Carroll said in a statement that an investigation into the teen’s death is underway and will include experts on teen suicide and the influence of social media. ‘This is an extraordinarily complex case that deserves our careful examination,’ Carroll said. Florida’s system of hiring private contractors to oversee foster care in much of the state has led to several suicides, accidental deaths and murders, Talenfeld said. Augmenting in what appears to become a disturbing trend, there have been at least two other suicides livestreamed in recent weeks. Pictured, Frederick Jay Bowdy in a movie role. Image via IMDB. 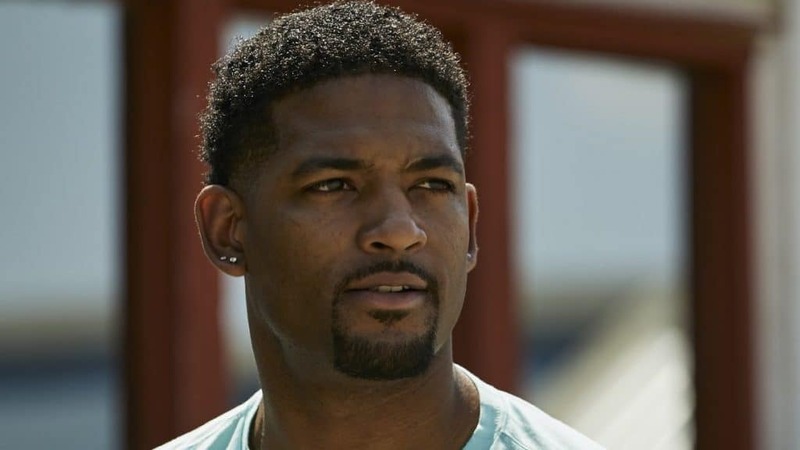 On Monday, 33-year-old aspiring actor Frederick Bowdy killed himself in Los Angeles on the social network. He had been recently arrested for sexual assault according to the latimes. 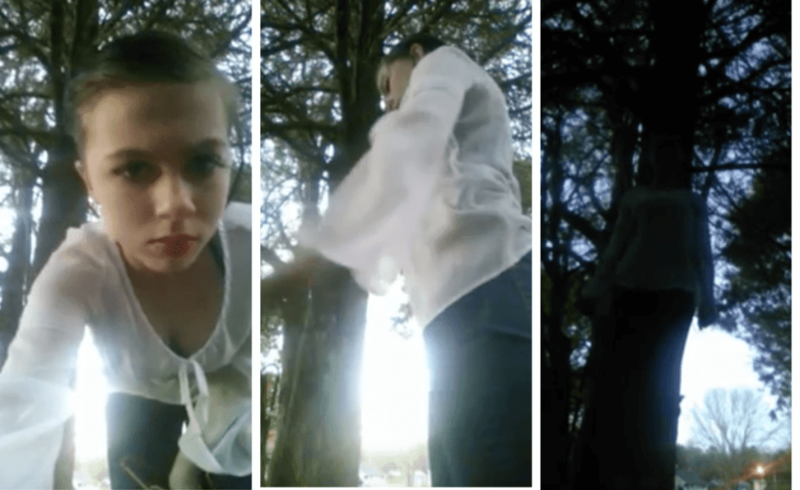 Twelve-year-old Katelyn Nicole Davis hanged herself during a Facebook live broadcast on December 30 after claiming she had been sexually assaulted by a relative. Why all three chose to end their lives in front of a live unseen audience has since led to debate and wide social commentary, with many decrying the ever pressing need for instant gratification, celestial aspirations and the creation of social media as a platform where users have come to feel no inhibition sharing their most intimate issues- as a kind of validation often lacking in real life. Addressing the spate of users turning to Facebook to livestream their suicide, Daniel J. Reidenberg, executive director of Suicide Awareness Voices of Education, said more suicidal people have been saved by Facebook than had died on the social media platform. Told the counselor: ‘It gives (suicidal people) the opportunity to connect with somebody who cares about them, who says the right thing on a post or is watching and reaches out to them. ‘Those opportunities don’t exist without livestreaming’. However, Ryne Sherman, an associate professor of psychology at Florida Atlantic University, said livestreamed suicides have the potential to create something like suicide clusters and copycats. ‘Social media takes this to a whole new level. This isn’t a newspaper report – this has the potential to spread much quicker and to a broader audience,’ Sherman said. Pictured, Katelyn Nicole Davis. Screen shots of suicide video.